This is called the “Visitation” where Mary come to greet Elizabeth who is then also pregnant with St. John the Baptist. 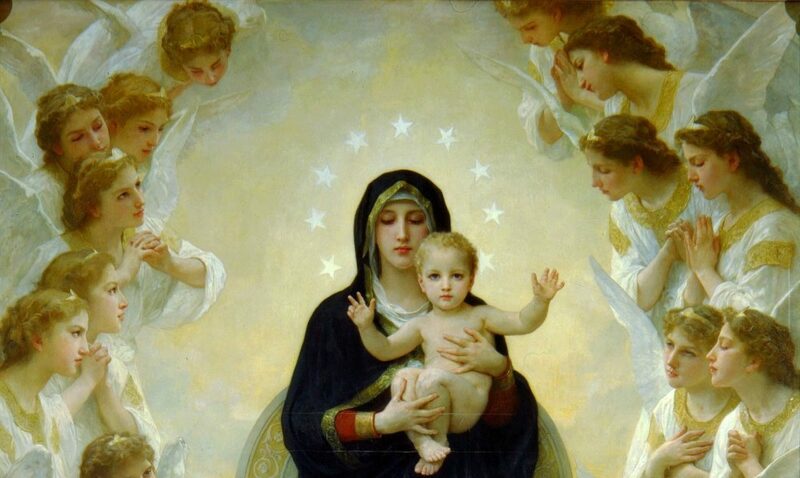 St. John could already feel the presence of our Lord while in his mother’s womb and leaped for joy, rejoicing at the presence of the Lord inside of Mary’s womb. Elizabeth, filled with the Holy Spirit, also rejoices at the sight of our Blessed Mother of Jesus and the knowing that she is carrying God’s Begotten Son, who came into the world for all who believe in Him, so that they too may share in the Eternal Life God has prepared for us all. …..the word of God came to John the son of Zechariah in the desert. Preparing our hearts for Jesus is always important. Even the law was given as a disciplinarian for Christ. In any moment, in the Christmas Season, preparing for the 2nd coming, we can alway examine our hearts and ask Jesus to be in all areas of our hearts. By asking Jesus to help us overcome the areas that hurt others, or ourselves, we rely on His Strength and ask the Most High to please heal these areas. WHich increases acts of Love through Christ Jesus. The blind man was given inner sight through the Holy Spirit to recognize that the Son of God was passing by. Through faith and with inner sight of the Holy Spirit of God, he called out to Jesus, and Jesus heard him. Asking Jesus in faith to heal him, Jesus said, “Go your way; your faith has saved you.” and “immediately (the blind man) received his sight.” Bartimaeus then got up and followed Jesus; becoming his disciple. Jesus welcomes everyone when we come to him; and is always listening. Faith will always get God’s attention. God and Jesus both welcome all people to them; and it is credited as an “Act of faith” when we do come to them. God is always listening and is always calling us to Him.